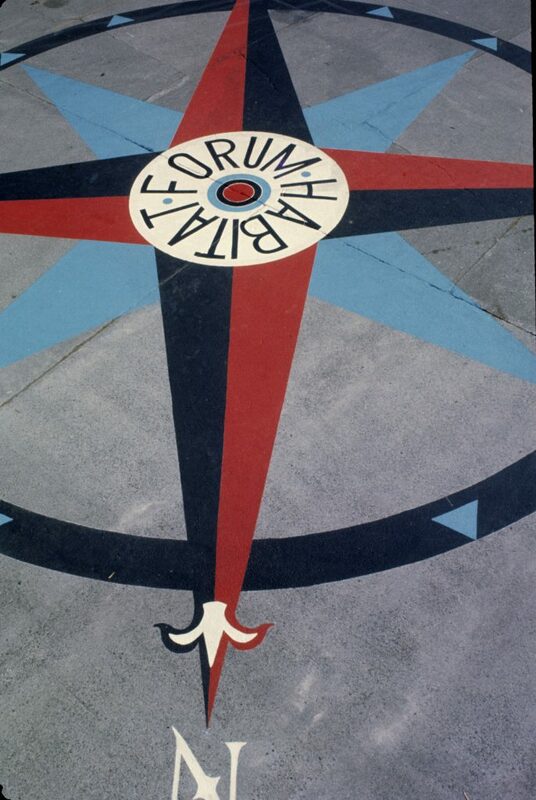 Thanks to funding from the Friends of the Vancouver City Archives and the generous support of a private donor we are pleased to announce that over 6,800 photographs showing the 1976 Habitat Forum are now available online. We have recently made descriptions and high-resolution scans available for the photographs in the Art Grice fonds. We have also made a selection of the images available on flickr. These are high-quality images created by a professional photographer and they document views and details of some buildings in Vancouver. All of the images in the fonds are signed prints and we have included the signatures. 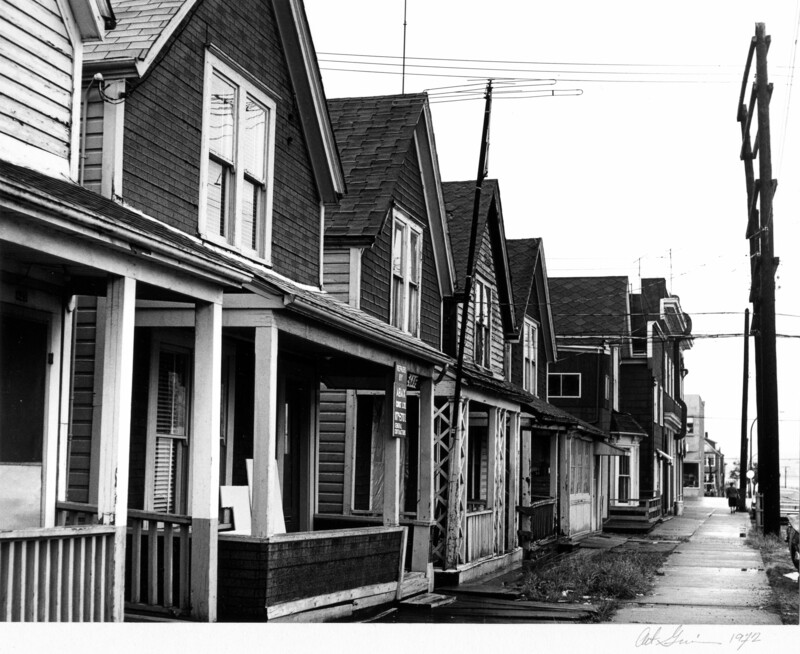 Houses row near Hawks Avenue East Pender Street, looking south, 1972. Reference code AM1536-: CVA 70-77. On January 1st, the copyright expired for some of our holdings: they are now in the public domain in Canada. These digital materials may now be legally re-used for any purpose. Here’s a quick look at some of the images, maps, moving images and audio that have become easier to re-use. Black Sunday in Gastown is a recording of a June 13, 1966 CBC radio program which describes the events of the Great Vancouver Fire of 1886. It features interviews with five Vancouver seniors who remember the fire. Major J.S. Matthews, first City Archivist of Vancouver, is heard paying tribute to all the survivors of the fire. Note the audio starts about 18 seconds in to the recording. Here’s our full description. 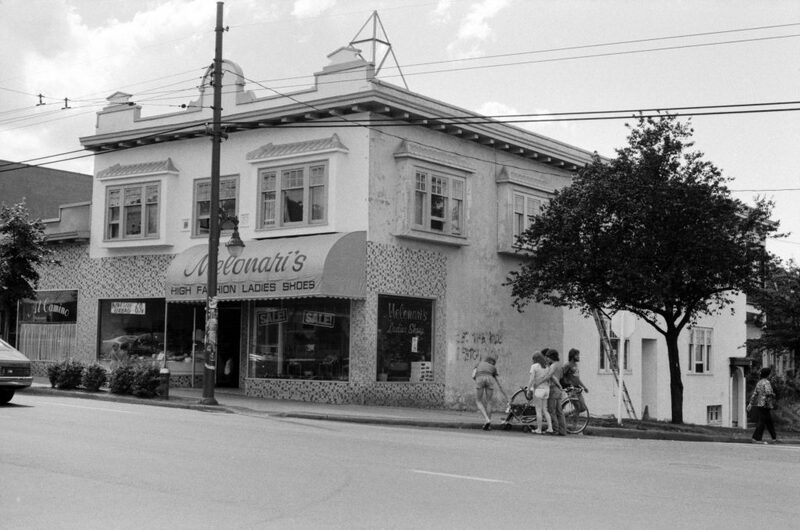 We are excited to announce that 610 photographs from the Vancouver Legacies Program records series are now available online. 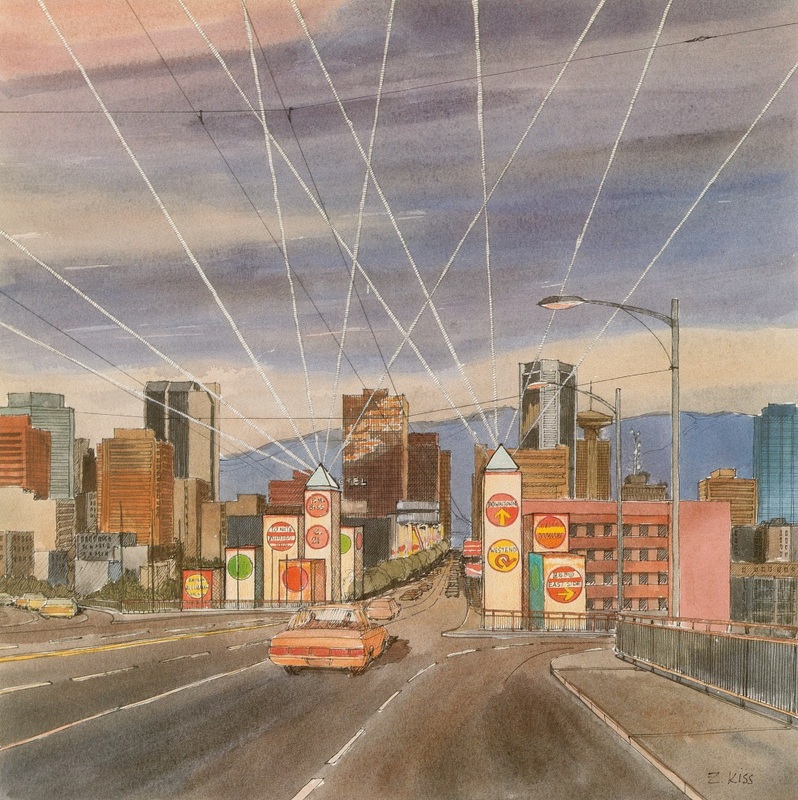 The Vancouver Legacies Program was initiated by City Council in 1985 to prepare Vancouver for hosting the upcoming Centennial celebrations and Expo ’86 festivities. 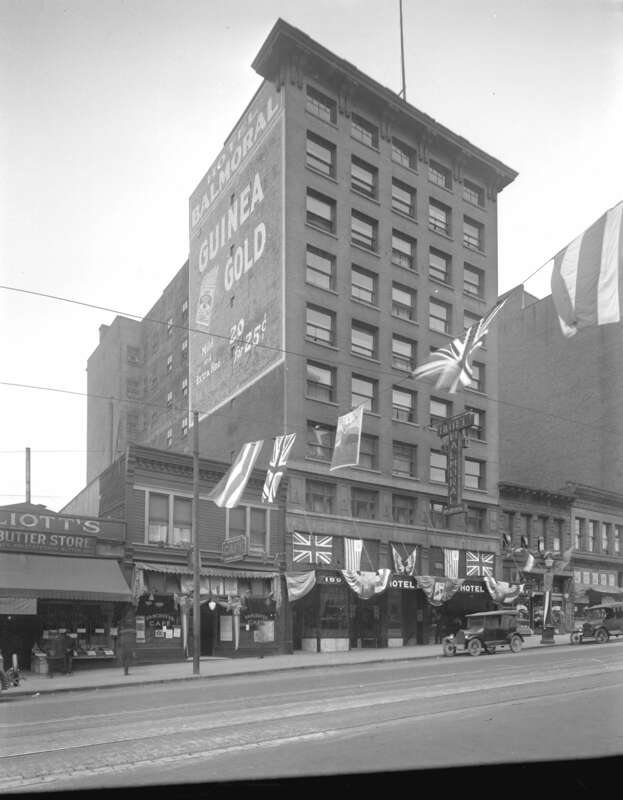 Thanks to funding from the British Columbia History Digitization Program and the Friends of the Vancouver City Archives, we’ve recently completed a project to digitize nearly five thousand photographs and some graphic materials from the Vancouver Centennial Commission fonds that you can easily view and re-use. In addition, we’ve digitized another 1,810 images that are under copyright to other parties, but which can be viewed at the Archives. 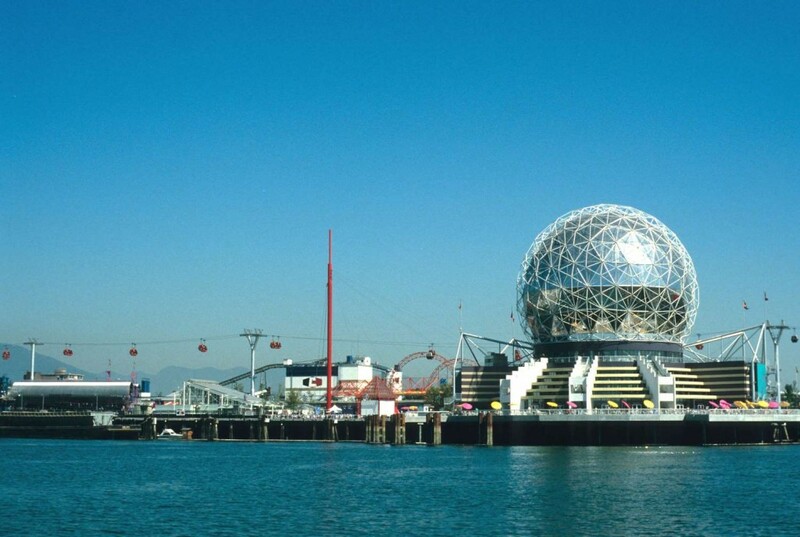 Thirty years ago on May 2, 1986, Vancouver’s World’s Fair, Expo 86, was officially opened by TRH Charles, Prince of Wales and Diana, Princess of Wales. 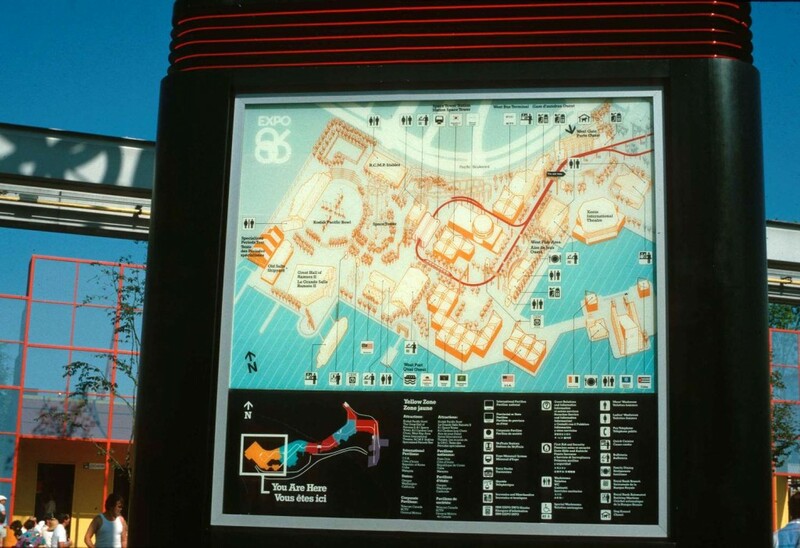 Originally known as Transpo, Expo 86’s theme was “Transportation and Communication: World in Motion – World in Touch”. The 173-acre exposition site featured 65 pavilions representing countries, provinces and territories, and corporations. On January 1st, the copyright expired for some of our holdings: they are now in the public domain in Canada. Digital materials are no longer restricted to being viewed only at the Archives, but are available online to all. Here’s a quick look at some of the digital objects that have become easier to view and re-use. Publicity photo of Polack Bros. 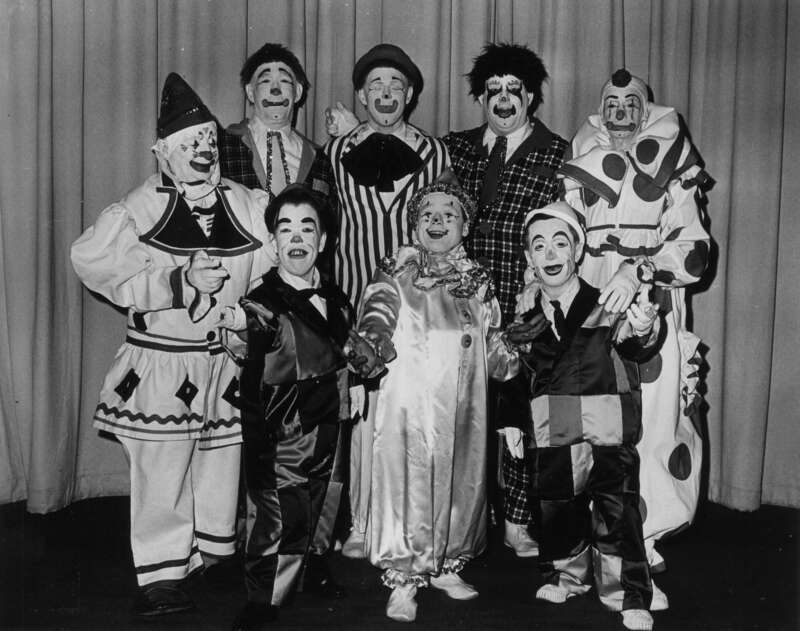 Circus 1965 clowns. Reference code AM281-S8-: CVA 180-6027. 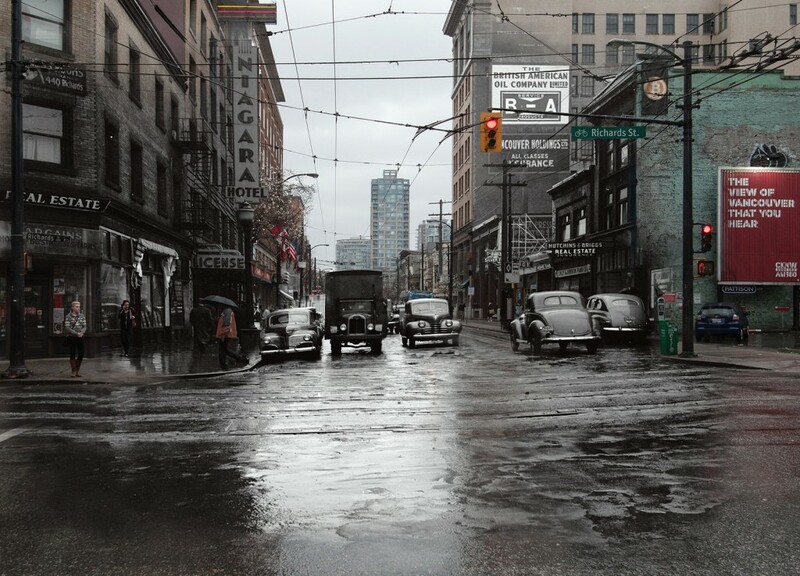 The popular photography exhibit, Merging Time, is now showing at the City of Vancouver Archives gallery. This year’s collection features 13 new “now-and-then” interpretations of images from the Archives holdings. 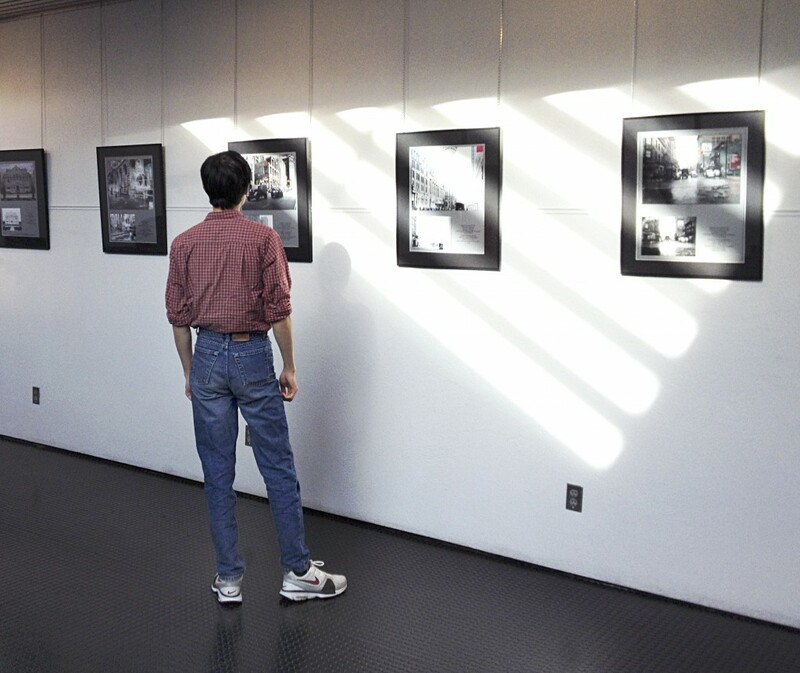 A member of the public views the Merging Time: A Modern Perspective photography exhibit. Photo credit: Christine Hagemoen. Every fall, the Archives features new works created by students in Langara College’s Photo-Imaging Program. 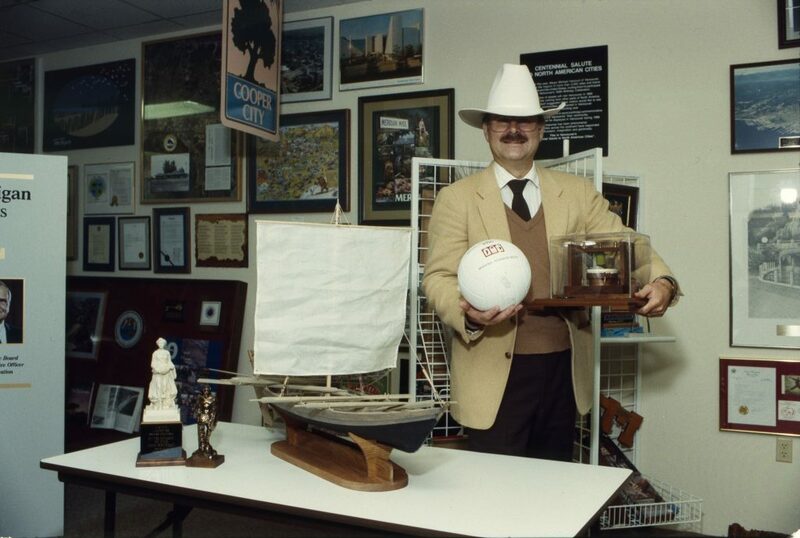 Students are assigned to visit the Archives to find photographs with unique elements defining the past, such as fashion, transportation, advertising, and storefront signage. Then, with a DSLR camera, they return to the original location of the archival photograph to shoot a modern-day version. The students merge a digital version of the archival photograph with the modern-day replication to produce a composite of the past and present. 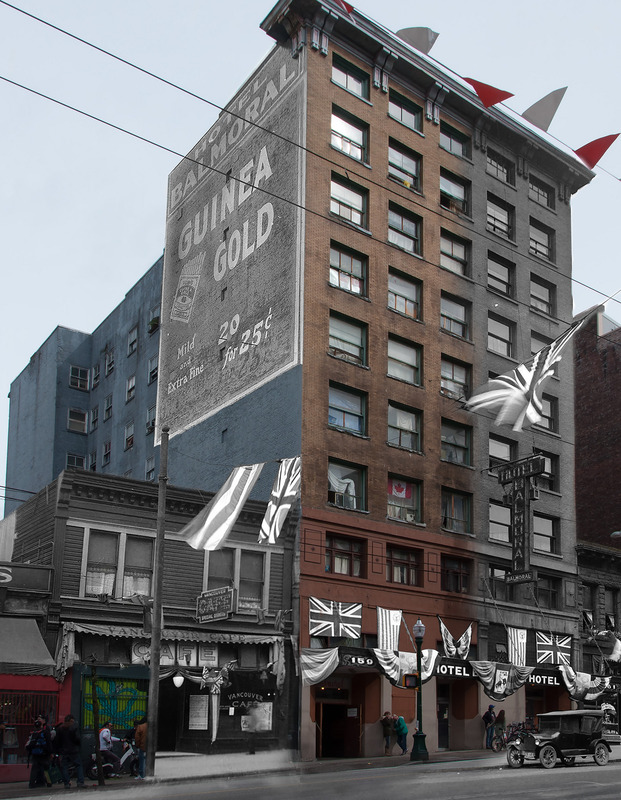 This year’s selections date from the 1900s to the 1950s, and feature the West End, Gastown, Chinatown, downtown Vancouver, UBC and Mount Pleasant. Archival photograph selected by Courtney Naesgaard for the Merging Time exhibit. 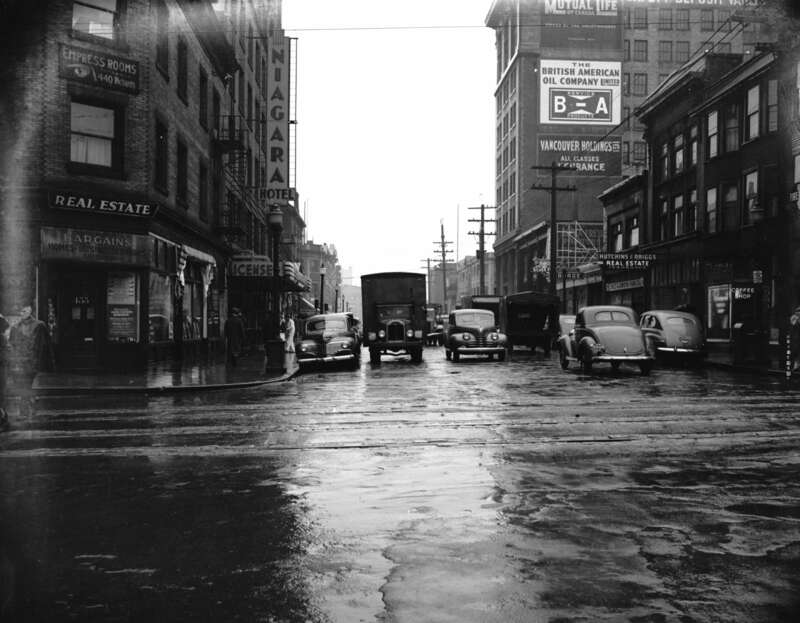 Street traffic at Pender Street and Richards Street, 1946. Reference code: AM1545-S3-: CVA 586-4225. The main challenge the students face is figuring out where and how each photograph was taken. Sometimes the original photograph may have been taken with the camera in the middle of the road or where a new building now stands. Determining the focal length and angle of the shot further complicates the process of matching the current-day image with the original perspective. This is where the techniques taught in the course come into play. Using Photoshop, the students adjust the perspective of their modern-day image to match the framing and composition of the original archival photograph. Digital composite by Courtney Naesgaard, 1946/2015. Street traffic at Pender Street and Richards Street, incorporating Archives image AM1545-S3-: CVA 586-4225. Once the perspective is matched, students block, mask, blend and merge the past and present elements into a single photograph. The result is a seamless digital composite where the two eras converge and are presented simultaneously. Archival photograph selected by Amberlee Pang for the Merging Time exhibit. Hotel Balmoral, Hastings Street, c. 1926. Reference code: AM54-S4-: Hot N35. This returning photography show is the Archives’ most popular exhibit, and we are always thrilled to see how artists apply their creative skills to the digitized material in our holdings. Digital composite by Amberlee Pang, c.1926/2015. Hotel Balmoral, Hastings Street, incorporating Archives image AM54-S4-: Hot N35. Merging Time: A Modern Perspective will be on display at the Archives until the end of January, 2016. Please visit during our regular hours: Monday to Friday, 9 AM to 5 PM. For those who are unable to attend the gallery in person, you can view the Merging Time exhibit in this Langara College flickr album.